Faculty and Clinicians – Services for You! Hardin Library provides a variety of services to help you succeed! 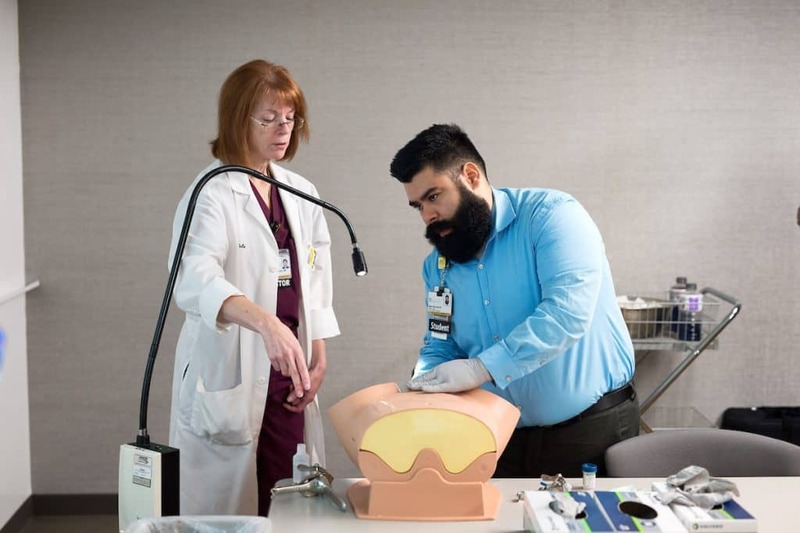 Day in the Life of Medical Student Mark Moubarek, obstetrics class on delivering a healthy baby using a simulation mannequin. Every department is assigned a liaison librarian, who can help you with all of your questions about the library and its resources. Hardin subscribes to DynaMed, the Cochrane Library, JAMAevidence, BMJ Best Practice, and more. The UI Libraries subscribe to hundreds of online databases, focused on a variety of disciplines and implementations, from point-of-care to basic science research. Your liaison can help you choose the right databases, the right headings, and the right strategy. A-Z list of electronic journals – we may have other issues in print as well! Browzine app for iOS, Android and Kindle lets you make a customized newsstand of journals to browse, read, and monitor. The Institute of Medicine recommends working with a librarian or other information specialist to plan out your search strategy and to peer-review the final strategy used. All of our library resources are available off-campus but require authentication with your Iowa HawkID and password. Start at Hardin’s website. Find quick help for your specialty, department, with publishing, or other topics. If you need an article or book that the UI Libraries doesn’t have, we can get it for you, for free. And if you need an article that we only have in print, we will scan it for you. No limits on the number of requests! EndNote is freely available for residents, and your liaison can work with you to tame your references. Hardin subscriptions provide access to many mobile apps at no charge to you including UpToDate, DynaMed Plus, ClinicalKey, BMJ Best Practice and more. The library has two computer classrooms and a learning lounge you can reserve for classes. We also have a variety of group study rooms which can also be reserved. Hardin librarians offer monthly workshops on topics like PubMed, EndNote, and avoiding predatory publishers. We can also bring any of our sessions to you individually or to your group. Whenever the library is open, we have trained reference staff available to answer questions. Contact us!